Buy tickets to the DanceWorks Boston Project. Tickets go on sale with a discount code DWBLOVE and will remain on sale until sold out. Shows take place at the Boston Conservatory in Boston. This July, we lost one of our dear friends and dancers, Gerald Obah, in a tragic car accident in New York City. The community has been fundraising via Go Fund Me: The Gerald Obah DanceWorks Legacy Fund. Please consider a donation as a way to celebrate Gerald’s life and legacy. After purchasing, please follow the link to download & print your tickets. No tickets will be mailed. No tickets at Will Call. Misplaced your ticket? Please visit our ticket table the night of the show to verify your name & receive a ticket stub. Cash or check only at the door. Expect a sellout. No reserved seating. General admission only. Doors open at 7:30pm and 3:00pm for the matinee. Green Line “B” train, “Boston University East” stop. Using the MBTA is the easiest way! Tsai Performance Center is directly across the street from this stop. Look for the doors under the large red banner! 549 Commonwealth Avenue (Kenmore Lot). 240 Bay State Road (CAS Lot): A pay-to-park fee of $12. Must show the attendant your ticket for event at Tsai Center to receive rate. A flat rate of $12 is offered after 3pm and on Saturdays. Rates increase when events are at Fenway Park. Metered Parking is available along Commonwealth Avenue, Bay State Road, and Granby Street. Free after 6pm & Sundays. The DanceWorks Boston Project is a jam-packed, two hour-long production featuring 30 original choreographed works that will premiere at the BU Tsai Performance Center. 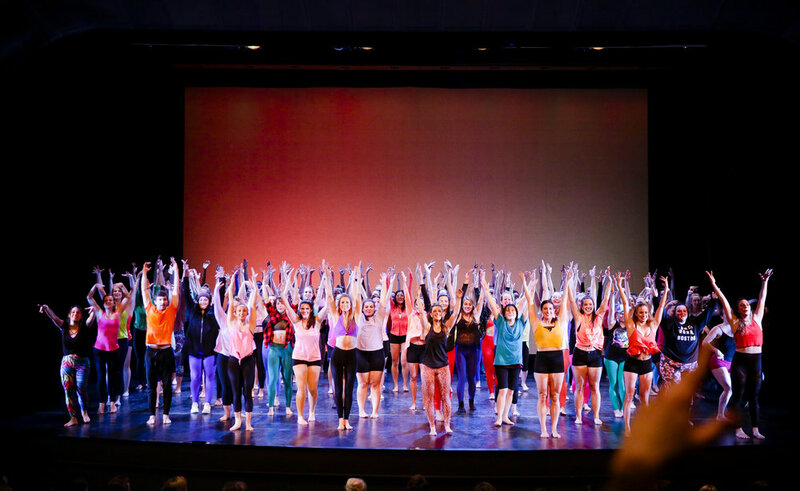 With over 165 performers, the production blends high energy hip-hop, jazz, tap, ballet, lyrical, contemporary and broadway to create a spectacle that is anything but your typical dance recital. Evening shows will be held on Thursday, Friday & Saturday, as well as our matinee show on Saturday at 3:30pm.